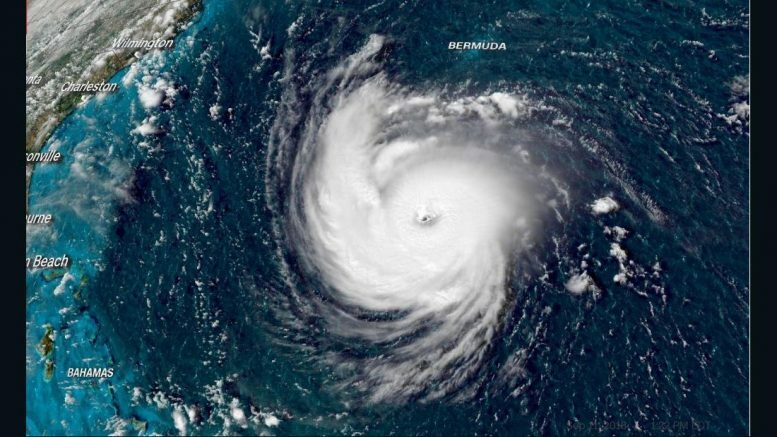 It’s that time of year again and if you live in coastal regions you need to give thought to protecting business assets from hurricane damage. At the time we write this Hurricane Florence is bearing down on the eastern seaboard or the United States and millions of people are trying to get out of the way. In 2018 hurricane season is officially starts June 1st and ends November 30th. We still have two and a half months to go. Forbes has just come out with an article with tips to help a small business through this period. It includes a good checklist of action items you need to consider in preparation for the increased activity we see right now. Action item #2 and #7 are important ones – take pictures of everything you have, and backup all your records. Tape was the traditional backup method for small businesses, but improved internet capabilities has made cloud backups the premier choice right now. Cloud backups are easy to set up, cost efficient in that they generally charge monthly, and most importantly they backup offsite. With a looming potential disaster like a hurricane it is absolutely important that your backup data does not reside in the same geographical location as your office. You want that data far away from where you are so that it is protected from hurricane damage. Do you know what to do if you suddenly don’t have access to your office? Does your staff know what to do? Do you have someone to take the lead and provide communications to everyone who needs to know. That being said; do you know how to connect to everyone in your office if your email system is down? You need a plan. A hurricane damage plan. Now would be a good time to set aside some time and prepare that plan. Bring in everyone who needs to be involved and hash out a plan. Don’t worry if it is “quick and dirty”, any plan is better than no plan. Yes, take pictures. A visual record is worth so much more that text – and is easy to do on any smartphone. And yes, start now and find a Cloud Backup provider that can securely protect your critical business documents and put them in a spot that is far away from your office. We’ve all read the statistics about the percentage of businesses that fail after a disaster. You don’t want hurricane damage to make you one of those statistics. If you are Canadian based we offer a Cloud Backup that guarantees your backup data stays in Canada. Bottom line, do some preparation. Think about what you will need to effectively recover from hurricane damage. Even if it your plan is not perfect, at least you have something you can start with. CloudPockets.com provides Cloud Backup services that ensure all backup data is encrypted and protected offsite, away from your location, so that it is recoverable for that critical time when you need it. Be the first to comment on "Hurricane Disaster Recovery Plan"